- lit by the orange glow of a streetlight. 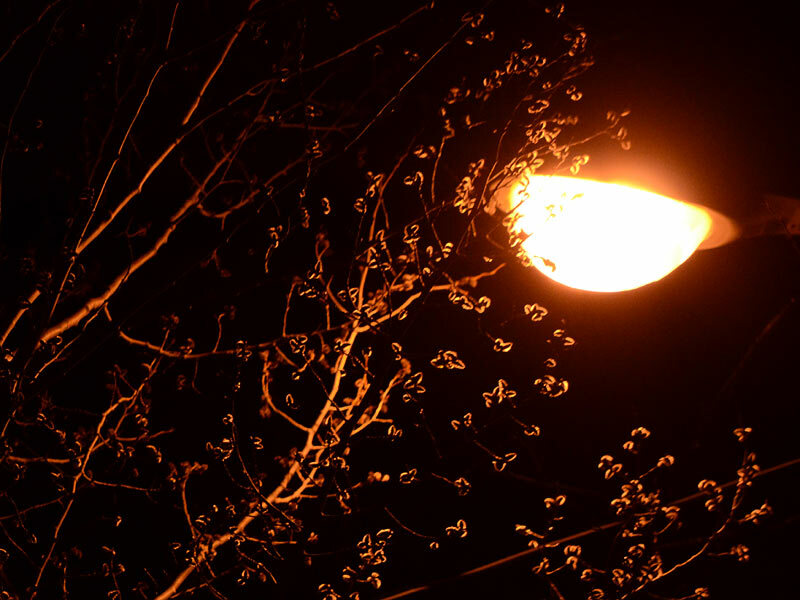 Trees that grow around streetlights have the benefits and disadvantages of two different light sources - sunlight in the daytime and streetlight at night. For a passerby, the nighttime lighting seems more dramatic.